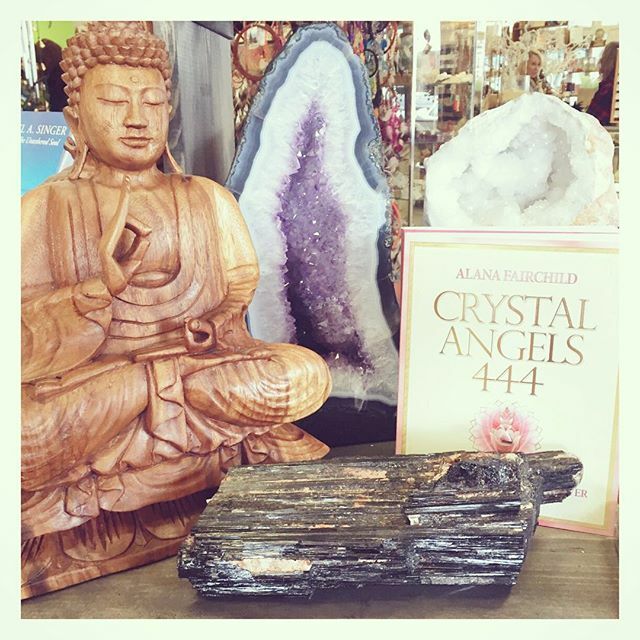 #buddha , #books and #crystals . What more do you need to start your #weekend? last day to receive 40% off #blacktourmaline ! All other crystals are 20% off! Kindly note, no holds on crystals during sale, loose crystals only (jewelry, crystal books, salt lamps, pendulums and other crystal related items are excluded from sale).